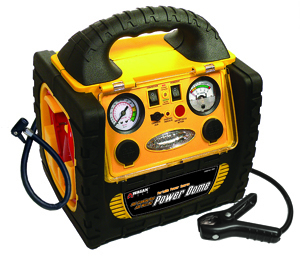 Power Dome 400Watt is a multi-purpose emergency power source. It can be used as a power source for 110volt AC or 12volt DC applications such as computers, TVs, fax machines, audio, fans, electrical tools, etc. It can also start your car engine in an emergency situation.